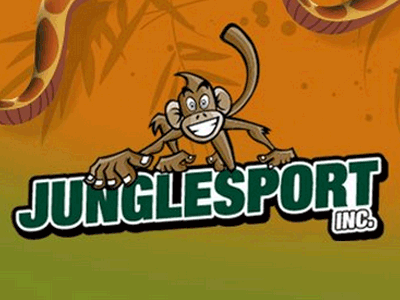 Junglesport™ Inc. delivers in-school adventure programs for students of all ages. 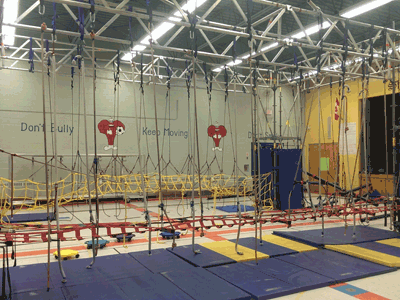 We set up our unique climbing and ropes course structure in your school gym. 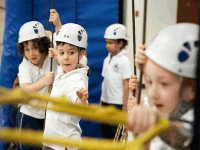 Fun low ropes obstacle courses are at the heart of our discovery program. 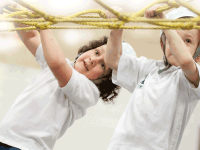 It promotes fundamental movement skills, coordination and cooperation. Students climb, crawl, swing, leap, balance and always have a smile on their faces. All students wear a helmet. 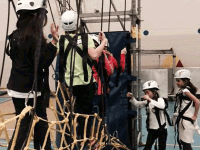 Students love to climb and travel rope bridges. They feel great while learning about trust and responsibility in our explore program. 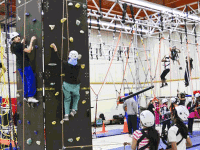 Students learn the basics of climbing on our rock walls and other vertical challenges. They build self-confidence and an awareness of what their bodies can do. All students wear a harness and a helmet. 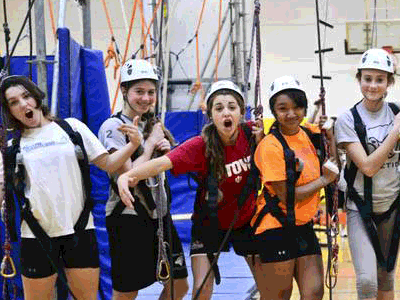 From swinging through the Gorilla gym to scaling the climbing walls our challenge program is perfect for active teens. 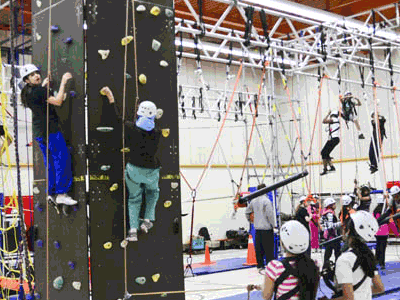 Students develop their climbing skills and challenge themselves to reach greater heights. They learn how to ascend a fixed line solo style and have fun on our cave wall. They develop communication skills and strategic thinking. All students wear a harness and a helmet. 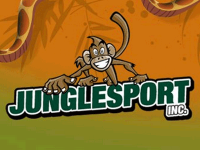 Junglesport offers something special for high school students. 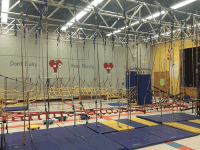 Our challenges and activities complement many other physical education programs. 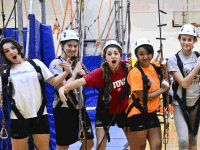 Designed to be inspirational and motivational our summit program takes climbing, teambuilding and leadership to new heights. 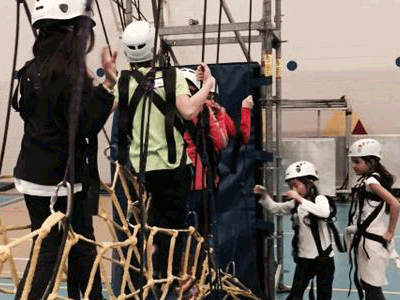 Students set their own challenges on our highest climbing walls, incorporating a range of taught techniques. They push the limits on our individual and team fixed line challenges. All students wear a harness and a helmet.